This evening, the Skerries Coast Guard team were tasked to provide assistance to two vehicles stuck in sand on Gormanston Beach. Using our 4WD response vehicles, both trapped vehicles were safely recovered from the beach. Sand conditions on long, exposed beaches such as Gormanston, Co Meath can always change from one tide to the next. 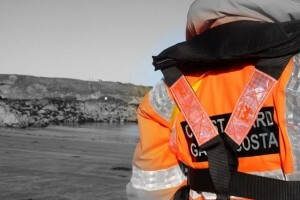 Remember – if you spot someone in difficulty on the coast call 112 and ask for the COAST GUARD. Your call could save their life. This morning the Skerries Coast Guard team conducted a Search & Rescue (SAR) training exercise at Donabate & Portrane shorelines. 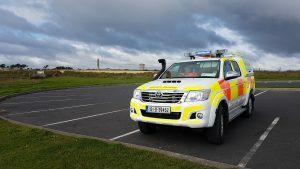 A number of scenario based exercise were undertaken over the varied terrain; from the long sandy Donabate beach, marshland of Malahide estuary and rocky shores of Portrane. This morning shortly before 05:00 the Skerries Coast Guard team pagers were activated for an incident at Skerries harbour. The team were tasked to assist with the arrival of a yacht under tow into Skerries harbour. Howth lifeboat had the stricken yacht under tow for some time and was making for Skerries harbour. Conditions at Skerries were challenging with strong NW F8 gusts and patches of driving rain. The Howth lifeboat successfully delivered the yacht to the harbour pier and the Skerries Coast Guard team completed the final positioning and berthing. All aboard the yacht were ok and unscathed by their ordeal. Remember – if you spot someone in difficulty dial 112 and ask for the COAST GUARD. Your call could save their life. 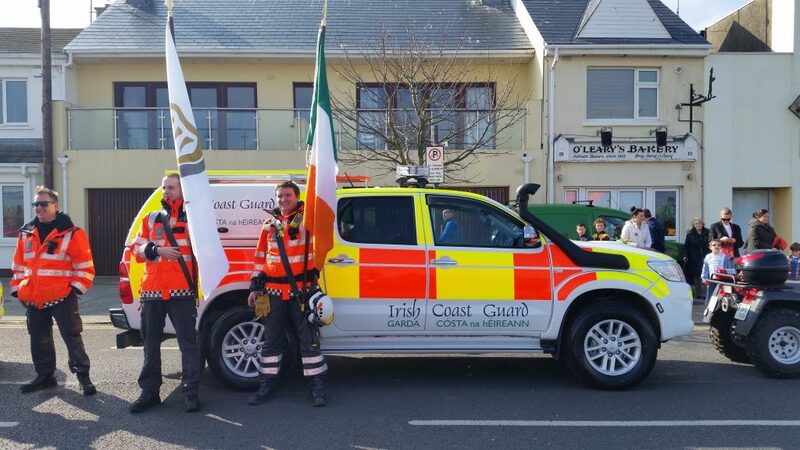 The Skerries Coast Guard team will once again be taking part in the annual St Patrick’s day parade in Skerries, The parade is organised by the Skerries Chamber of Commerce with countless local volunteers assisting on the day. 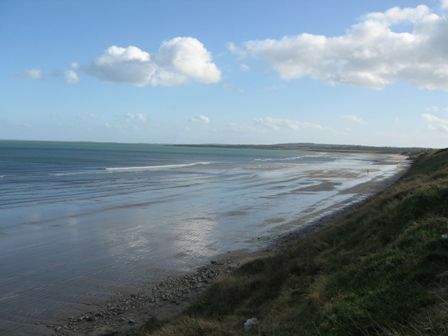 All parade entrants and floats will assemble from 1:30pm at the South Strand, where the judging will take place before the parade starts at 3pm. The parade will depart the South Strand assembly area at 3pm and will make its way past the Hamilton Monument and travel up Strand Street, past the viewing platform at St Patrick’s Church before finishing up at the Skerries Mills visitor centre complex. This is always an extremely popular parade and there are plenty of excellent viewing spots for the crowds along the route.